Some people think that great companies only come from the coasts. They believe that New York and San Francisco have bogarted so much talent and capital that there’s no way anyone outside of these tech hubs could possibly create, develop, and sell something of value to the people of the world. And the only thing I have to say to them is that you’re missing out on a lot of great companies from around the country. 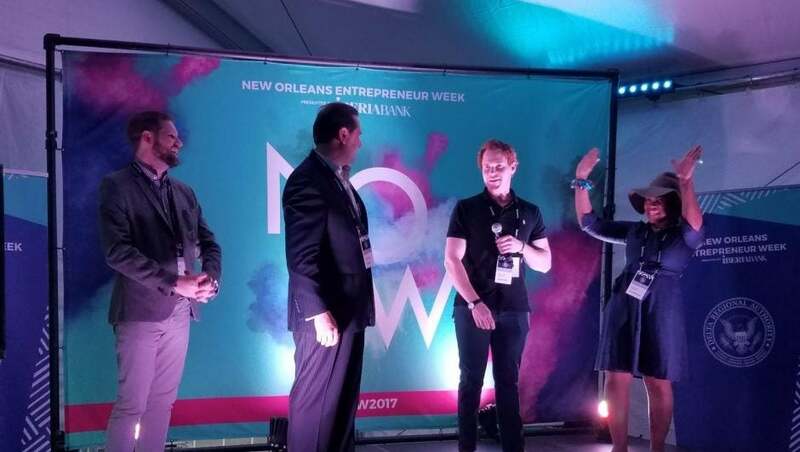 Last week, I judged the Delta Entrepreneurship Network Pitch Competition, put on by the Delta Regional Authority at New Orleans Entrepreneur Week. I saw a bevy of passionate entrepreneurs from great companies spanning the middle of the country from Missouri to Alabama. And while every startup demonstrated their undeniable value in the national startup ecosystem, two startups stood out as the winners of the pitch competition: Somavac Medical Solutions and HABERDAShe. Somavac Medical Solutions won the judged competition that took place on Tuesday. They are creating a wearable suction device for the removal and collection of post-surgical fluids after major surgeries, like mastectomies and hernia repairs, that affects more than 750,000 patients a year in the US alone. “This is an incredible opportunity to help build our business and give it the boost it needs to gain more publicity and attention,” said Josh Herwig, cofounder of Somavac. HABERDAShe, on the other hand, won the “Crowd Favorite” award at the showcase the following night. This company is a made-to-measure brand for women’s suiting using a virtual fit digital platform. 3D body scanning extracts customer measurements, virtual fitting rooms mimic the weight, and drape of the fabric so the customer can experience the garment on a personal avatar. Then, computer aided design software (CAD) allows us to make one garment at a time to each customer’s fit specifications. “This experience with the DRA has been a great opportunity to network with emerging entrepreneurial talent in the Delta region and I am grateful for this access to technical experience and mentorships,” said Smydge Perry, founder of HABERDAShe. At the pitch competition, each of these startups had that intangible spark that you need to be success in the business world. Somavac’s team was diligent, prepared, and well-researched, all while pitching a product that would not only save money, but would also save lives. HABERDAShe, represented by Perry, demonstrated that passion and know-how can get you a long way, showing off her knowledge of the fashion world and the innovation that’s required to solve its biggest problems. Follow these startups, because they’re going places. With OnePlus' imminent arrival in the US, we explain why it's set to be the next big phone brand on the market, and why you should care about its cut-price, flagship-killing phones, like the newly-released OnePlus 6T.